On a physiological level, a warm-up prepares the body’s cardiovascular system for the impending work load by increasing the heart rate and dilating blood vessels to the skeletal muscles. This allows the body to transport the nutrients muscles need for soccer activities. In addition, warming up is beneficial for mental preparation. It provides an opportunity to clear the mind and focus on the task at hand. With this in mind, a warm-up sets the tone for practices and games. For the best results, warm-ups should include dynamic locomotions that are similar to the types of movements performed in the activities that follow. For instance in soccer, players move their entire bodies so a thorough dynamic warm-up is important. Going through a variety of movement patterns will ensure that players are prepared and decrease the risk of injuries such as muscle pulls and strains. 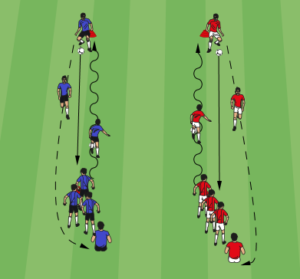 A simple way of performing a dynamic warm-up is to have players go through different locomotions together in lines. 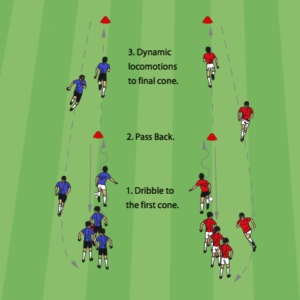 There are plenty of great locomotions that coaches can use in dynamic warm-ups. The lists below includes some of my favorites. Dynamic warm-ups can be performed in many different arrangements such in a square, circle, or figure eight pattern. Once players have finished going through some dynamic locomotions, relay races can be used to prepare players even further. Players enjoy the competitive aspect of relays. In addition, relay races are great for players to work on speed, agility, and quickness. 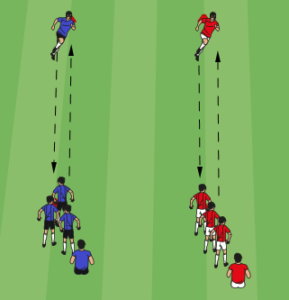 Due to the fact that players will often times go through a dynamic warm-up in lines, it can be very easy to transition into a relay race in lines. Whenever using relays, try to make the teams as even as possible so that the races are close. 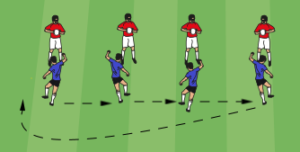 Furthermore, relay races can also be used for players to work on dribbling and passing. Another fun variation of a relay is to have players play tic-tac-toe against each other in two teams. In addition to relay races, players really enjoy tag games. Because tag games are so engaging, they help to provide a fun and competitive practice environment. Pinnie tag is a great game to use as part of a soccer warm-up. Another tag game for players to work on decision making and quickness is two yard tag. In addition to relay and tag games, sometimes it can be fun for players to play an invasion game such as capture the cone. Equally fun is the game treasure hunters which is played with four teams instead of two. Another fun soccer warm-up game is pinnie grabbers. In this game players tuck pinnies into their waistbands and try to steal pinnies from other players. A soccer warm-up can also provide an opportunity for players to practice various technical skills such as dribbling. After all, coaches only have a limited amount of time with their teams. For this reason, incorporating technical skills into warm-ups is a great way to speed up player development. A soccer dribbling routine is a great way for players to improve their skill on the ball. 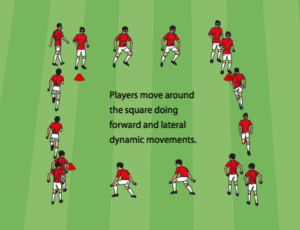 Coupled with dynamic locomotions, this activity can be used as a progressive soccer warm-up. Another fun soccer dribbling warm-up is scoring spree. In this drill players dribble between cones as fast they can and see how many they can go through in a given amount of time. On the other hand, a dribbling warm-up can be as simple as having players dribble around a grid practicing different moves and turns. In the same fashion as dribbling, passing is a very easy skill to incorporate into warm-ups. 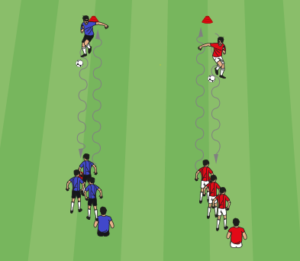 Furthermore, passing warm-ups are great for players to practice moving off the ball and communicating with teammates. In the even that a team goes through a square dynamic warm-up, it is very easy to transition into a square passing warm-up. Another great passing warm-up is numbered passing. In this drill players number themselves off and pass in a sequence. 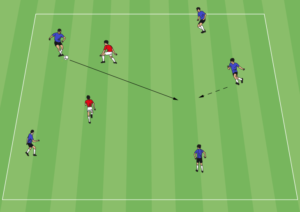 Likewise, there are many great passing combinations players can perform as part of a warm-up. A few of my favorites are short-short-long and wall passing combinations. In the event that players need to work on headers or volleys, these skills can easily be incorporated into a warm-up as well. A great drill for young players to work on heading is header tag. Many of the exercises players use to practice heading and volleying can be used to practice passing as well. For instance, back and forth and down the ladder are great for players to work on heading, volleying, or passing. 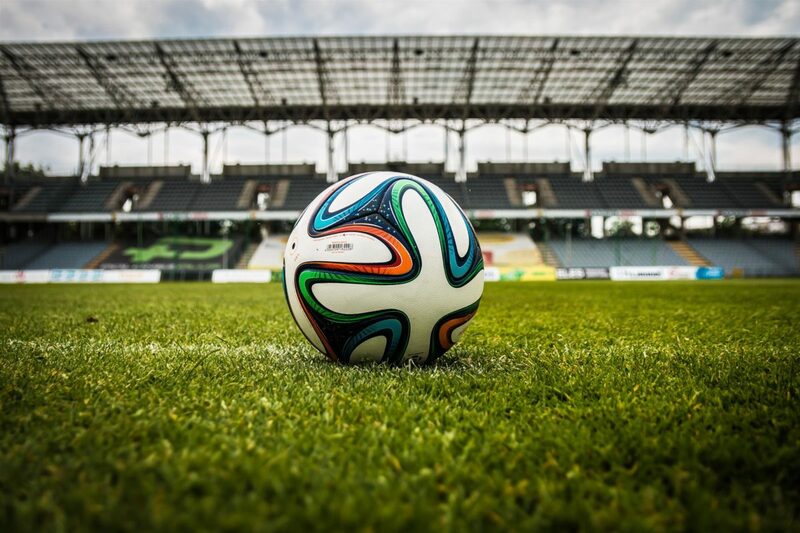 When warming up for a soccer game, it is important that players get sharp on the ball and focused to take on the opposition. In order to accomplish these things, a rondo drill can be a great tool. There are many different variations of rondo drills which I discuss in The Soccer Possession Manual. Many of the possession drills on this site also work great in a pregame warm-up routine. In any event, here is a simple rondo drill. A pregame warm-up should also contain a finishing component to prepare strikers. 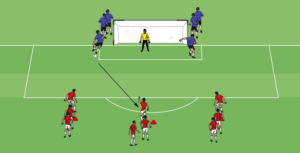 3v2 to goal is great way to give strikers repetitions in front of goal before the game starts. 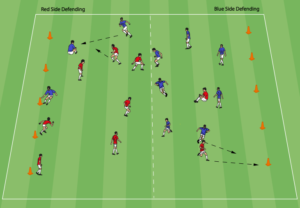 Not to mention, this drill gives defenders a chance to work on defending simultaneously. Furthermore, 3v2 to goal can be played with wingers to give players a chance to work on crossing and finishing crosses. If you found this page useful, feel free to explore Competitor Spot for more great soccer drills. In addition, you can check out all of our warm-up drills here.